Discover the most luxurious all-inclusive resort in Riviera Nayarit; a retreat of lavish beauty and comfort that is sure to exceed your expectations. Having revolutionized the all-inclusive concept, Grand Velas is pleased to offer you a "Beyond All Inclusive, Beyond All Compare" vacation experience with exceptional gourmet dining, world-class hospitality, and luxurious accommodations. Experience a breathtaking resort and spa that seduces your senses and rejuvenates your spirit. 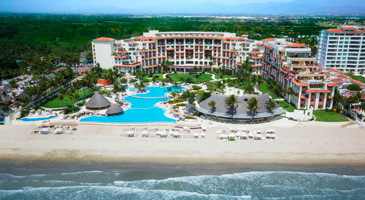 The only luxury all-inclusive family-oriented resort in the Mexican Pacific to be awarded Five Diamonds by the AAA. We specialize in luxury all-inclusive vacations throughout the Caribbean, Mexico and Latin America.